Our girls looking good at Bowie State! Updated Wednesday April 3, 2019 by Christy Centrella. 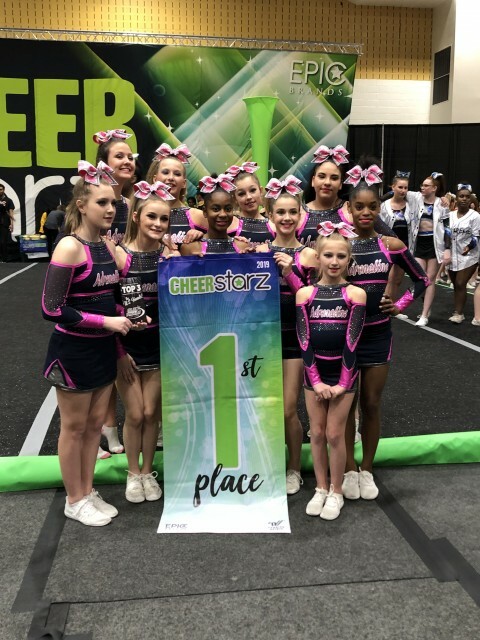 Jr SHOCK had a great Saturday at Cheer Starz with a 1st Place and Club Zero outine!! Keep pushing ladies, you have come so far! Very proud of our girls!